The Night Before My Birthday captures all the excitement and anticipation that every child experiences in the lead-up to their special day. The decorations are up, the table is set, and the food is ready - but what happens when there is an ice cream emergency? 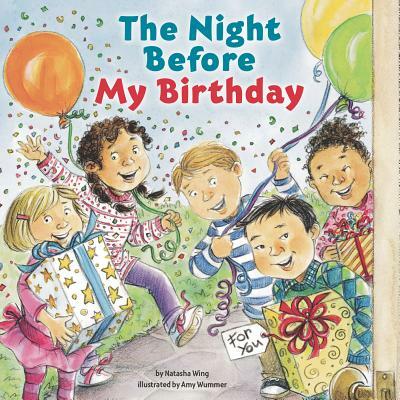 Once again Natasha Wing has written a story that is sure to appeal to every child getting ready for a birthday. The book is told by and seen through the eyes of the birthday child, so it is gender neutral and a fun gift for any birthday girl or boy.